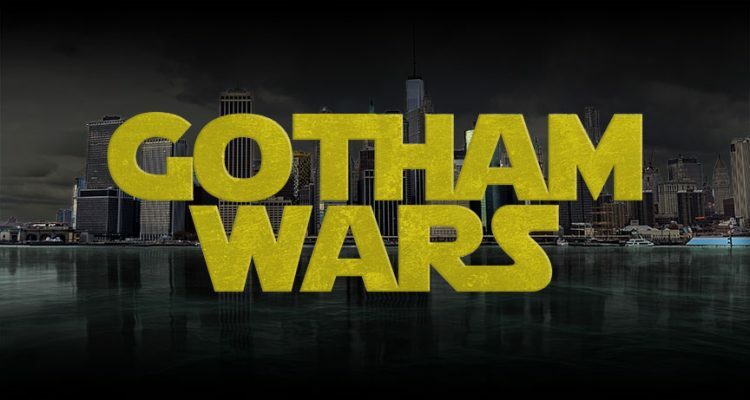 Inanimate Objects » Site Update: March 16, 2018 GOTHAM WARS! As with so many things in life, this story starts with a girl. Harley, to be exact. (No surprise there.) Many years ago, I decided I wanted to customize a “Slave Leia” Harley Quinn figure. (I go into more detail on the Ha’leen Quin-Zell page.) Jump ahead five or six years, and I finally have this figure well under way. Somehow, between discussion with DarkPix and A Tyke of the Customs, this turned into a Much Bigger Project. I went from making a silly Harley to add to my Harley shelf, to a full-on mash-up of Batman and Jabba’s court, including a Carbonite-frozen Robin, speeders, Jabba, and more. The result is what I like to think of as a little mini-episode for a TV show that never existed. So, without further ado, please tune your television sets to the following program. And enjoy! That’s all for now. Enjoy GOTHAM WARS!